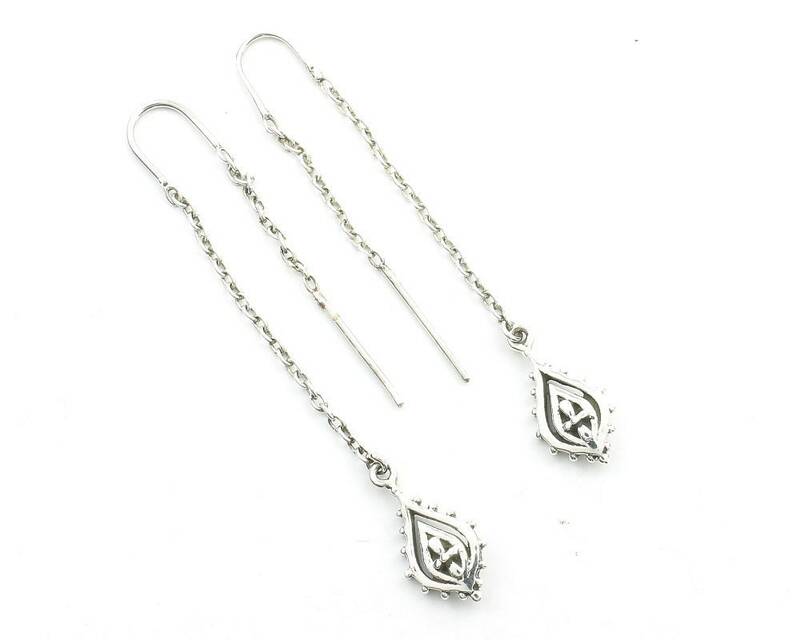 Beautiful sterling silver chain earrings thread through the ear for a unique look. Material is solid sterling silver. 925. This item is handmade and may have slight imperfections that add to the beauty of the piece. Length With Hook: 2 1/4"